We often hear that unions are somehow on a par with corporate special interest groups when it comes to lobbying. From 2008-2015, the U.S. Chamber of Commerce and its Institute for Legal Reform spent $792,420,000 (#1 and #3 in the graphic). This is roughly 3x what second place lobbying organization the National Association of Realtors spent. By comparison during the same time period, the first union to appear on the list at #182, the AFL-CIO, spent $22,300,000. 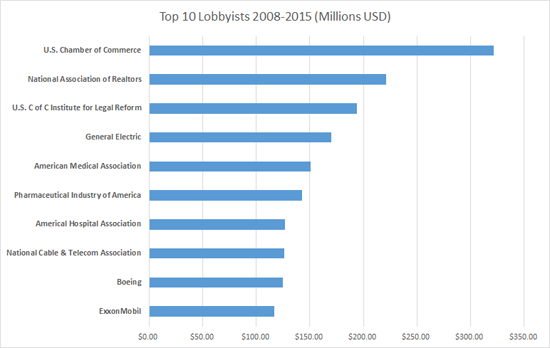 The U.S. Chamber of Commerce spent roughly 35x the AFL-CIO on lobbying over this eight year period. 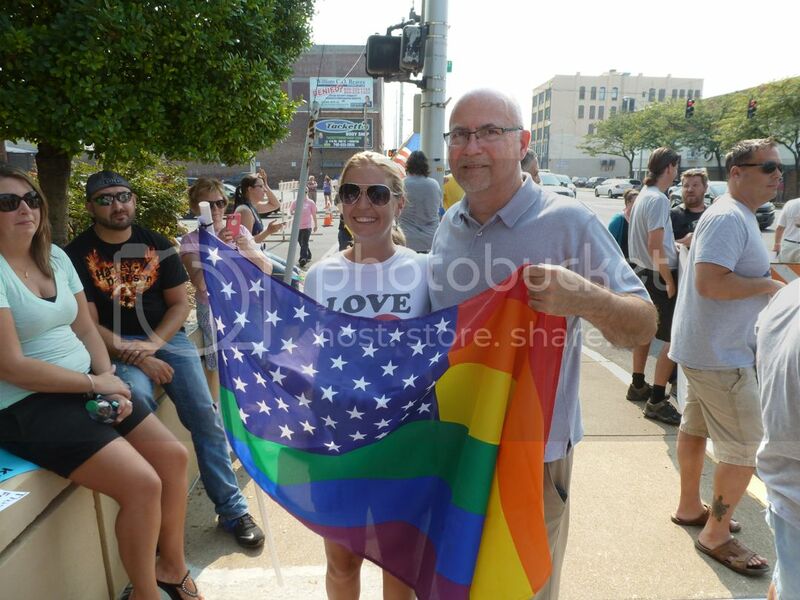 We didn’t know what to expect when we drove down to Ashland, KY for the Kim Davis hearing. We figured the religious right would be there with their megaphones and hate signs. And they were. As were the media. The pleasant surprise, however, was the number of equality supporters. Thought you might enjoy a few pics over Friday morning coffee.